This volume addresses three major issues: What are the circumstances in which people elect to protest; what are the forms of such action; and how do people organize to do so? 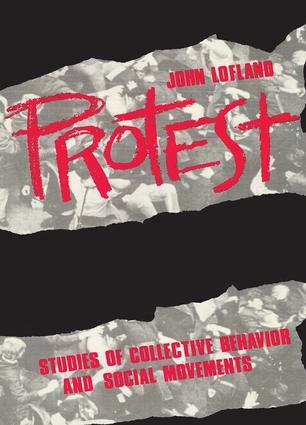 Phrased differently, what are the contexts of protest (collective behavior), personal readiness for protest (conversion), and finally joining together for protest in movement organizations and movement strategies.The key to the book's value is its theoretical sophistication. These studies address in a systematic way fundamental alternatives to organizing protests and outline in detail options for structuring units of social movement. The author deals especially with movement organization locals, including "corps" and "cells." Such units are examined in terms of how they coexist and how they exist sequentially through time. Several case studies of movement organization are included, such as the Unification Church and Mankind United.The work places a heavy emphasis on protest action or strategy. In the final section four chapters examine the entire gamut of strategic possibilities, ranging from polite politics to violent action. Protest is a distinctive and complex strategy. The work carefully evaluates varieties of protest that have become significant in the 1980s. In each section of the book Lofland draws out underlying themes and issues that interrelate the studies and places protest in the larger context of political and social change and theories to date.